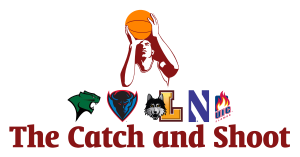 Welcome back to The Catch and Shoot’s bracket projections! The bracket is broken down into 32 spots are given as automatic bids (noted in the bracket with italics), and the remaining 36 are at-large selections. Here are the automatic qualifiers so far: Connecticut (AAC), Stony Brook (A-East), Florida Gulf Coast (A-Sun), North Carolina (ACC), Saint Joseph’s (A-10), Seton Hall (Big East), Weber State (Big Sky), UNC Asheville (Big South), Purdue/Michigan State (Big Ten), Hawaii (Big West), Kansas (Big 12), UNC Wilmington (CAA), Middle Tennessee (Conference USA), Green Bay (Horizon), Yale (Ivy), Iona (MAAC), Buffalo (MAC), Hampton (MEAC), Northern Iowa (MVC), Fresno State (MWC), Fairleigh Dickinson (NEC), Austin Peay (OVC), Oregon (Pac-12), Holy Cross (Patriot), Kentucky (SEC), Chattanooga (SoCon), Stephen F. Austin (Southland), South Dakota State (Summit), Little Rock (Sun Belt), Southern (SWAC), Cal State Bakersfield (WAC) and Gonzaga (WCC). 3 Xavier 3 Miami Fla.